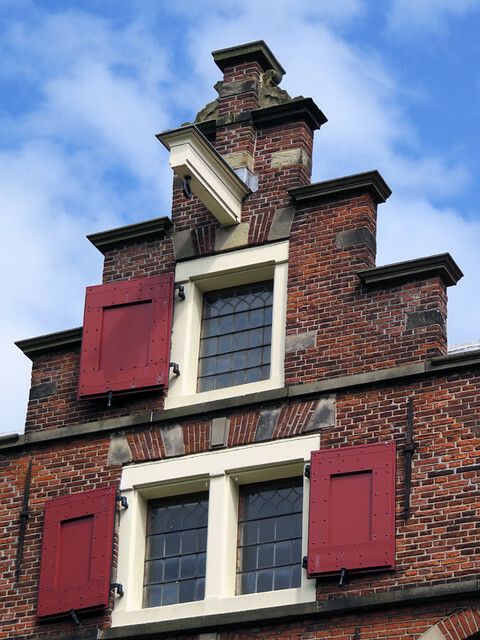 Dutch houses are all foursquare and made of brick. You’d think that would be staid and solid, but thanks to the Dutch sense of whimsy they are anything but. 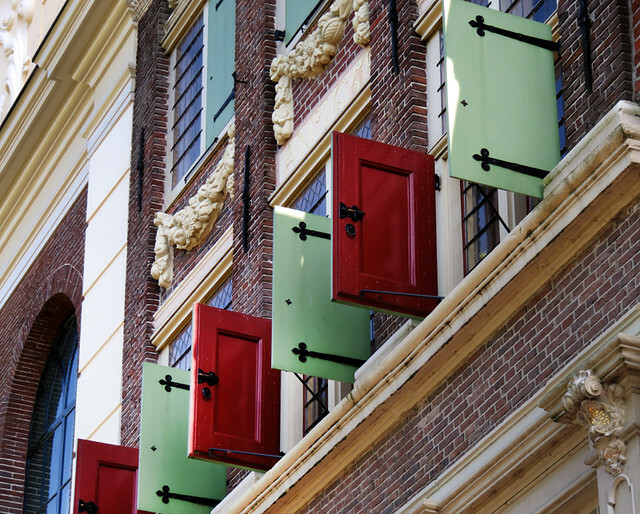 Colourful shutters adorn a building in Edam, Holland. The distinctive rooflines are varied and it sometimes seems no two are alike. Traditionally made of a narrow Dutch-style brick, these character houses have been around for a long time, such as this home dated 1653. 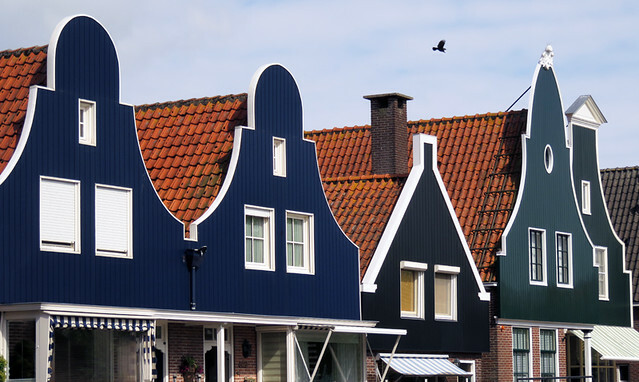 The traditional rooflines of Dutch houses in Edam translate just as well in wood as in the more typical brick. 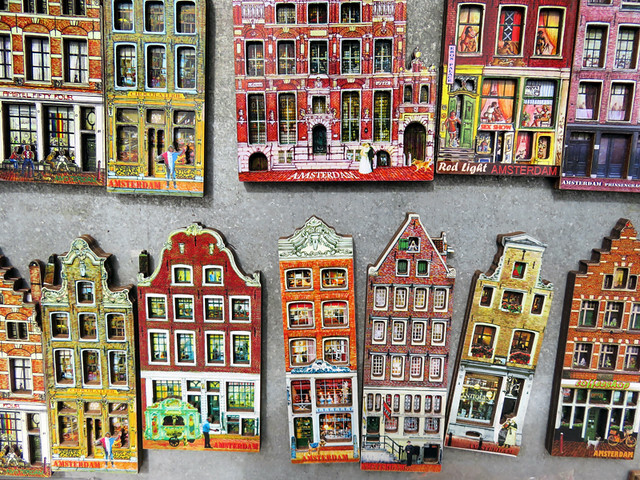 The cute houses also make for cute fridge magnets. These were for sale at one of the many markets in Amsterdam. A miniature of the typical houses in Marken, Holland. More of Cee’s Fun Foto Challenge: Houses and/or Barns. A great collection of houses! 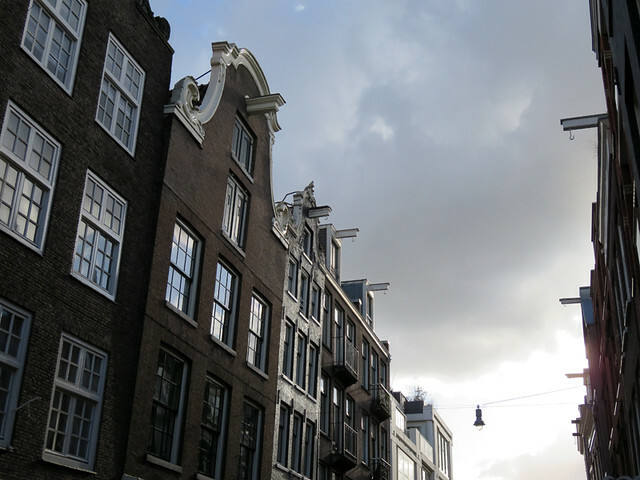 I love the Dutch houses. They are so different and special. 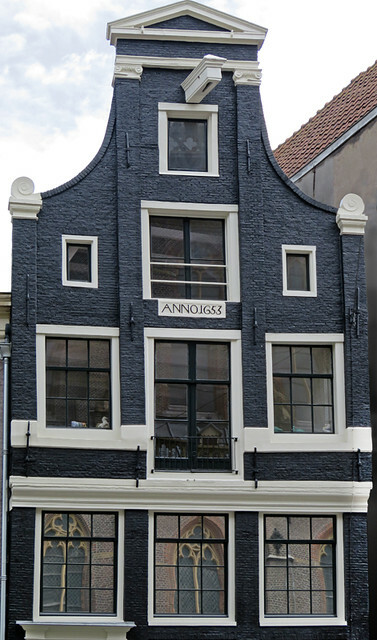 All types of architecture caught my eye in Holland!